If you're like most working professionals, most of your "public speaking" happens in meetings and on conference calls--some of which might, these days, involve videoconferencing. With the rise of easy video calling services like Skype, videoconferencing has become more common--Skype alone has 170 million users--making it something all speakers need to prepare for. Think small screen as well as large screen: When Skype began offering mobile video calls Jan. 1, its users placed one million such calls--that day. If you're on a mobile video call, gestures and other visuals might go by the wayside, and even less of you will be visible. Whether you're on a laptop or a mobile phone, any gestures need to be up near your face if you're framed in a head-and-shoulders view. Room-based videoconferencing's getting more focused: On you, that is. 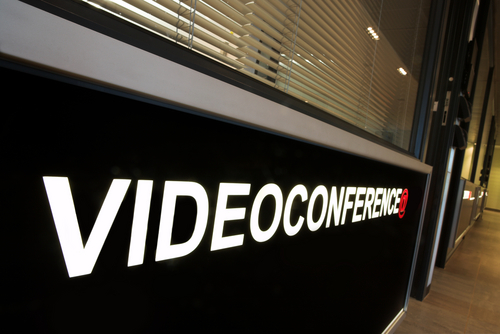 If your company has conference rooms with built-in videoconferencing, the article notes that "Companies are now replacing or upgrading these systems with high-definition systems." Check out our on-camera tips for when you're seen on HD. Eye contact gets more challenging: The article explains: "Because the camera on a desktop [computer] is at the top of the screen, if you actually look directly at your video partner, it appears that you’re looking down." So look at the camera when you're speaking, and glance at your caller when she's speaking. Don't forget the small talk: It's missing from many video calls, the article notes, but serves to help the conferees build relationships, just as it does in real life. Take a minute to ask about the weather, world events or your caller's day. Share your Skype or videoconference tips for speakers in the comments.